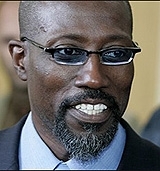 JANUARY 14--The Wesley Snipes tax evasion trial, which opens today with jury selection, will be filled with the kind of crazy inherent to the world of fervent tax deniers like the Hollywood star. The actor, of course, believes that the Internal Revenue Service does not have the authority to collect taxes and, as such, he did not bother to pay any on the $38 million he earned between 1999 and 2004. 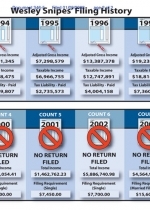 Federal prosecutors, who plan to introduce this nifty chart into evidence, will also seek to show jurors an assortment of frivolous correspondence, bogus refund claims, and other bizarre documents generated by Snipes and his antitax cronies. 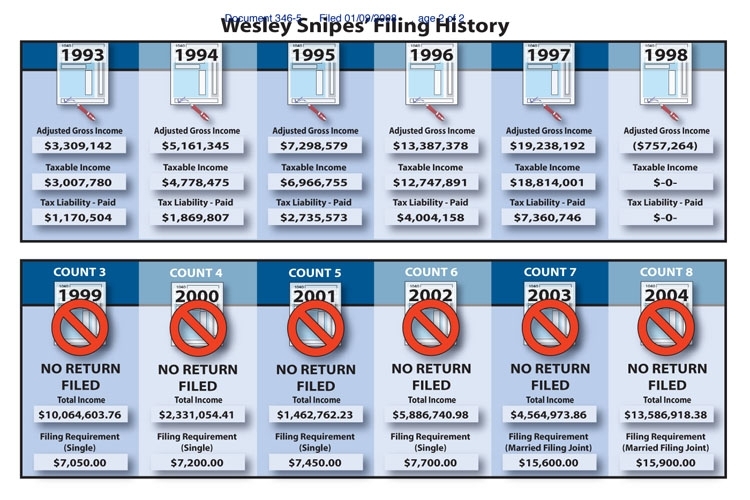 A typically loony (and illuminating) Snipes document, which can be found here, was filed by the celebrity with Florida's Orange County comptroller. While it's unclear what the purpose was of Snipes's three-page June 2005 legal notice, the document's nuttiness is plainly evident.